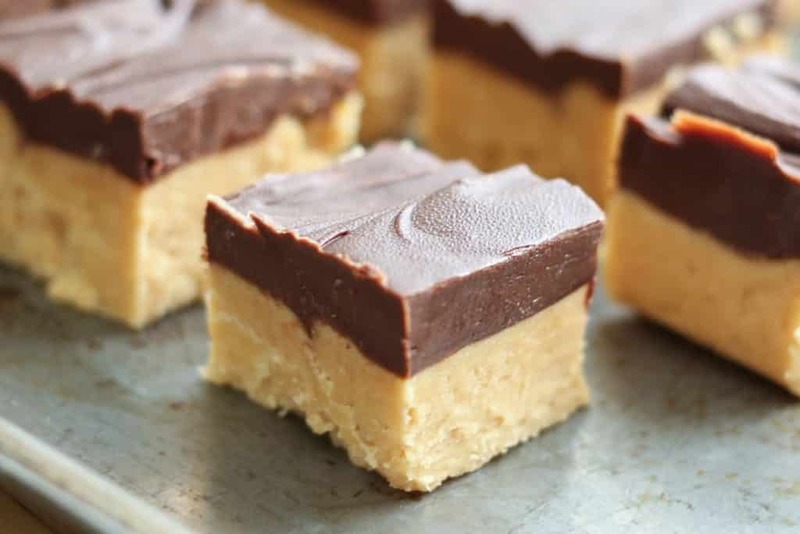 Happy Peanut Butter Fudge Day ! In the microwave heat peanut butter chips,milk and 2 T of butter - heat about 4 minutes. Spread in a buttered dish. Chill to set. Melt - chocolate chips and rest of milk and butter .Spread over the first layer and Chill. Cut into squares to serve.